Here is some important news for all aspirants seeking admission to MD/MS/Diploma program under West Bengal State Quota and Private Management Quota seats in 2018. 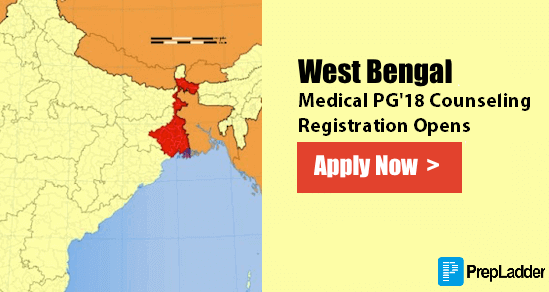 Registration for West Bengal Medical PG Counseling 2018 s now open. We are here with all the important details pertaining to West Bengal Medical PG 2018 Counseling. For more details, refer to Prospectus.